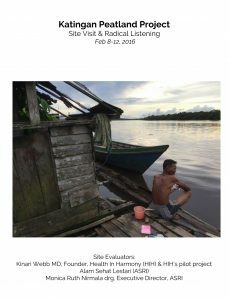 This is a report written by Kinari Webb after she visited the Katingan Project in 2016. RMU is collaborating with Emily Readett-Bayley, a long-time exporter of handicrafts from Bali to England. Emily is working on a rattan coffin prototype that will be marketed in Europe and potentially the US as an eco-coffin, possibly branded as an “Earth Basket” (helping the environment and local communities as your last act, also cheaper than a wooden coffin, and you will more quickly be dissolved into the earth). It’s a genius idea.